Our ExpressCage series is the latest addition to our lineup of ICY DOCK products and is catered to system builders and power users that require much more from their 5.25” bay. 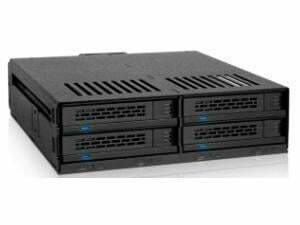 The MB324SP-B utilizes that 5.25” standard bay and converts it into 4 x 2.5” hot-swappable bays with support of 2.5” SATA and SAS HDD/SSD between 7mm to12.5mm in height. 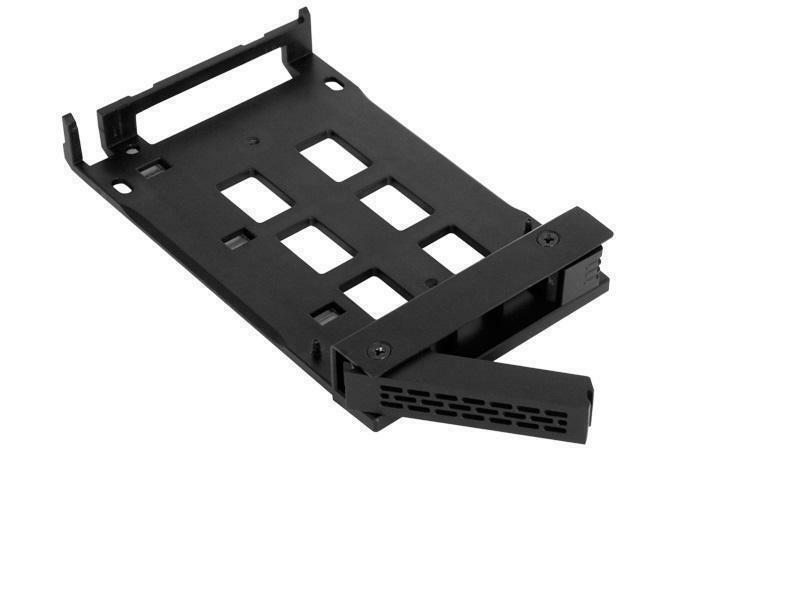 Our versatile enclosure supports SATA III 6Gb/s and single channel SAS (Requires SAS Controller Card). Extremely power efficient, the ExpressCage MB324SP-B can power all 4 drives with a single 15pin SATA power connector which can free up cable clutter and simplify your system build. In addition, our active power feature keeps your enclosure powered down until a drive is inserted minimizing energy usage. Through careful planning and design, we’ve incorporated the most desired features into our ExpressCage MB324SP-B. 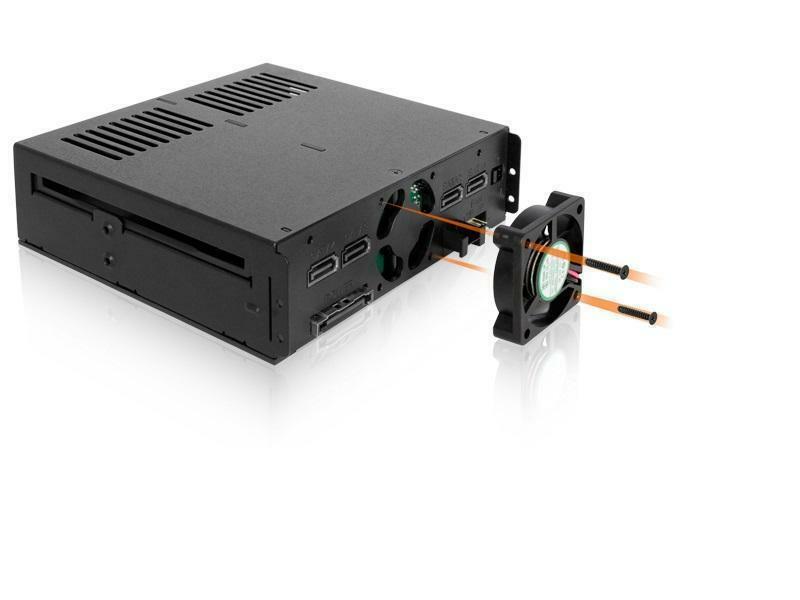 A 40mm cooling fan located in the center-rear of the enclosure keeps your drives cool by ventilating all 4 drives and dissipating heat through air vents surrounding the unit. Control the amount of air flow with our included fan speed control which can be set with a simple jumper pin. 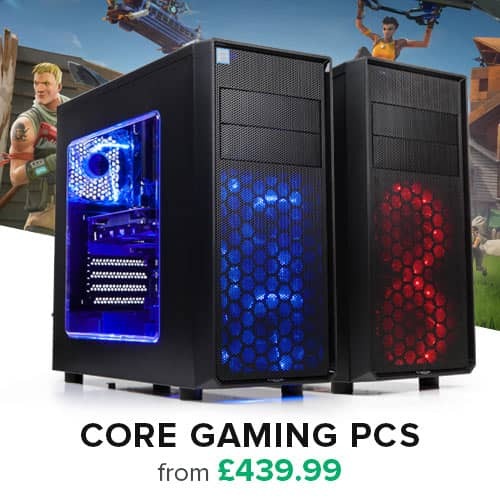 Set the fan to HIGH for maximum airflow, LOW for whisper quiet operations, or AUTO for smart cooling (determines the temperature of the drive and changes the fan’s RPM accordingly to keep your drives cool). The magic of our ExpressTray simplifies the drive installation process to provide a complete tool-less process to remove and install hard drives or SSDs. Attach a drive within seconds to the ExpressTray and remove it just as easily –the process is easy! Simply place the front end of the drive (the side without the connectors) down into the built in screws and ensure that end sits flush with the base of the tray. Now push the rear end (the side with the connectors) downwards onto the drive and ensure that there’s no space between the drive and the tray. To remove the drive, you simply need to reverse the process. Pull on the rear tab of the tray to free up the drive and then remove the drive. Our reinforced latching system located on the ExpressTray is made extremely durable so you won’t have issues with them further down the road.